Round and Round on the paper I go, what funs to go around like so? What have I made, do you know? I made a circle! 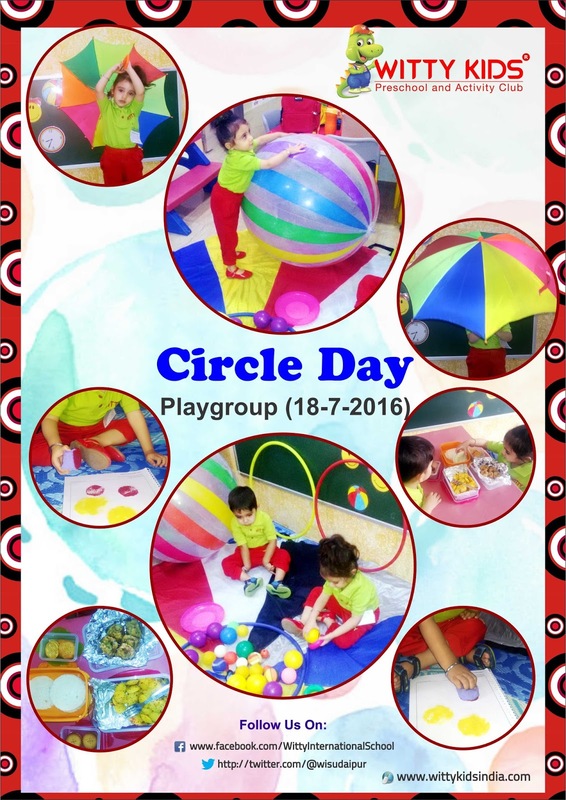 Little Wittians of Playgroup were introduced to Circle shape on Monday, 18 July 2016. Classroom was decorated with circle shape objects and hangings. They enjoyed making circle shape on sand with their fingers. They walked and danced on circle shape outline. They enjoyed circle shape sponge dabbing and also enjoyed eating circle shape snacks brought by them.